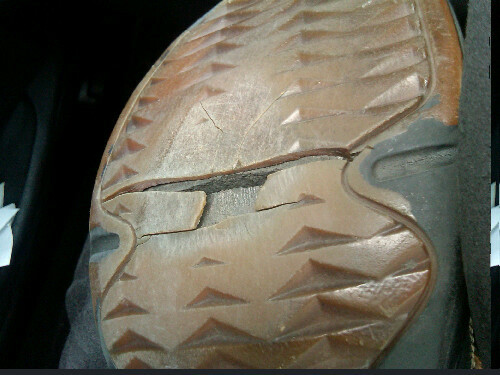 After wearing the same pair of shoes to work for the past 8 or 9 years, the bottom of my shoes finally gave in and cracked. Had it not been the rain that we had in Los Angeles in the past weeks, I wouldn’t even know there’s a hole underneath my shoe. When I bought this pair of shoes back then, I remember that the advertising gimmick was all about the air cushioning built inside the sole. What air cushioning? Where is it?